Professional wrestling, as least in the form popularly presented on television, has long been a curious combination of athletics, circus, and live theater. The truly great grapplers of all time, both good and bad alike, are known for their outsize personalities as well as for their outsize physiques. What a wrestler says and does outside the ring, building up his own image and tearing down his opponent’s image, is at least as important than what he does in the squared circle. Trash talk of this nature long predates the WWF era of wrestling that began in the 1980s with Vince McMahon. As evidence, just listen to classic novelty songs like “The Crusher” by The Novas or “Pencil Neck Geek” by “Classy” Freddie Blassie. Catchphrases have always gone hand in oily hand with wrestling. But, in the minds of most people today, the modern era of wrestling truly begins in the Reagan years with superstars like Hulk Hogan and “Rowdy” Roddy Piper. The WWF became the WWE back in 2002, but the tradition carries on today with a new generation of combatants. 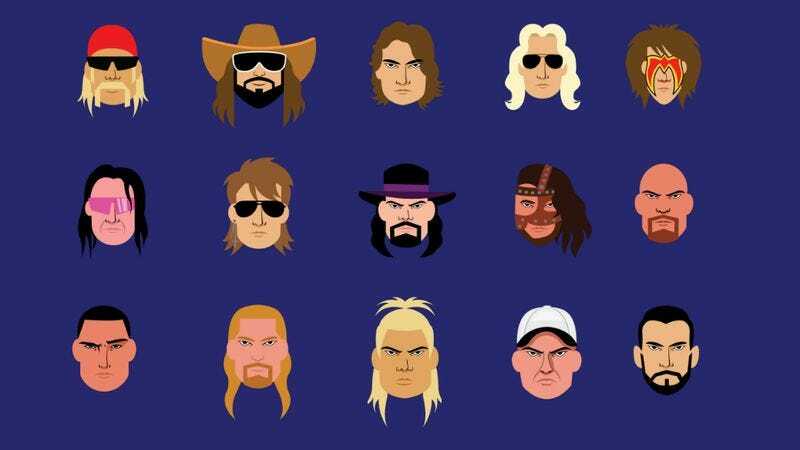 In order to commemorate the recent WWE SummerSlam event in Brooklyn, an online retailer called Costume Super Center has created a rather incredible infographic that collects some of the greatest wrestling catchphrases from the 1980s to today. Faces and heels are both well represented here.